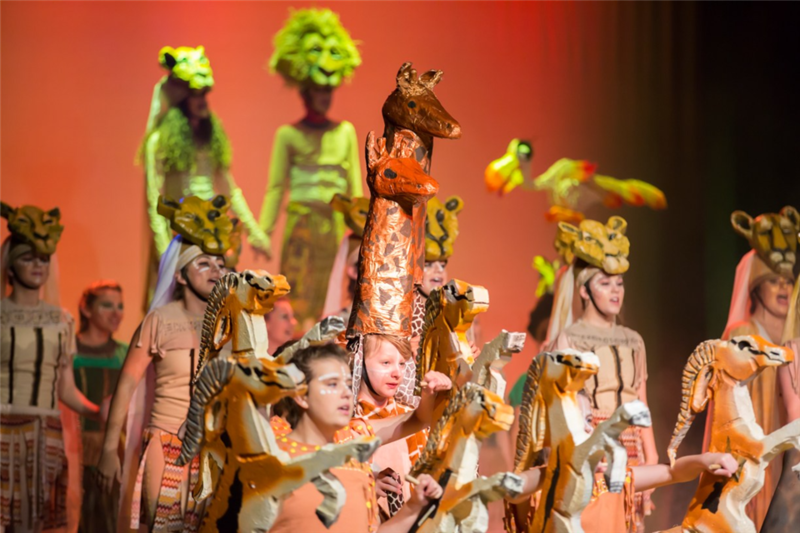 The sights, sounds, colors and costumes alone would have made for a show-stopping performance, but it was the hard work, natural talent and love of the musical that made this production of Disney’s, The Lion King, Jr. one to remember. Featuring fan favorite characters such as Rafiki, Simba, Nala and the anti-hero Scar, among many others, the middle school musical boasted a job well done from all who participated. Costume and set designers, directors and actors alike saw months of work come to life with three standout performances. For many middle school students, this is their first taste of SBS theatre. Directors Cindy Blades, Claire Westmoreland and Sam Brown helped make the experience one our students will treasure for many years. From the auditions to the final curtain, our young actors enjoyed each moment. After the audition and callback process, the cast was set and rehearsals began! This time of bonding together as a cast is essential to capturing relational dynamics onstage. Spending time with classmates and meeting new ones who quickly become close friends are two things that our theatre students enjoy most about participating in musicals at SBS. Click here to view photos from Disney’s, The Lion King, Jr.